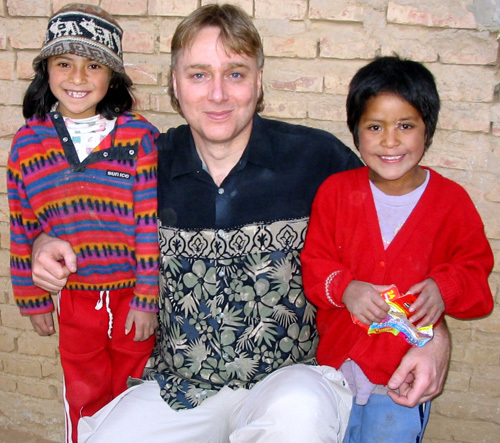 Christopher Redner, CEO of Children In Need, has visited dozens of child sponsorship projects around the world. He's seen the transformation that child sponsorship can facilitate. Read his article What's So Great About Sponsoring a Child? family. You can be a source of encouragement to them and they can be inspirational to you. Redner has encouraged thousands of people to sponsor children through concert tours, events, media interviews and the Children In Need Reports. 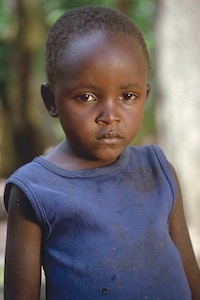 "You can change a child's life today by sponsoring a child through Compassion or World Vision." Redner says. "World Vision and Compassion are excellent charities with good reputations for providing excellent care. I sponsor children through both organizations. I've seen their child sponsorship programs at work and I can recommend them wholeheartedly." You may have noticed that we don't ask for donations to Children In Need anywhere on our site or in other materials. If you want to give money, we'd be happy to recommend some great charities benefitting children. Here are some other ways you can make a difference for children in need. Use your skills and experience in short-term project. Identify yourself as a child sponsor on Facebook through the "Sponsoring a Child" page. Children In Need is dedicated to raising awareness and understanding of issues that impact children. We hope to encourage people to help and support children in need. Please read the Children In Need Reports, participate in World Week and visit Celebrity Values. Canadian residents can sponsor children through Compassion Canada and World Vision Canada.